This Editor, as a life-long sailor, also has some suggestions about wind. Many folks may not realize that wind can cycle, both in direction and in speed (velocity). If you are patient, you should be able to sense the timing of the cycles, which will help you predict shifts in wind direction and velocity. While it is tempting to shoot in the lulls, sometimes the true wind vector (angle + speed) may be most constant when the wind is blowing stronger. Another tip for hunters is to orient your shot, when possible, in alignment with the wind direction. Try to face into the wind, or have the wind at your back. This is especially effective when shooting in a varmint field. Use a string of tape on a pole to show wind angle. Then shoot directly into the wind or with the wind directly at your back. This will minimize horizontal deflection caused by the wind. 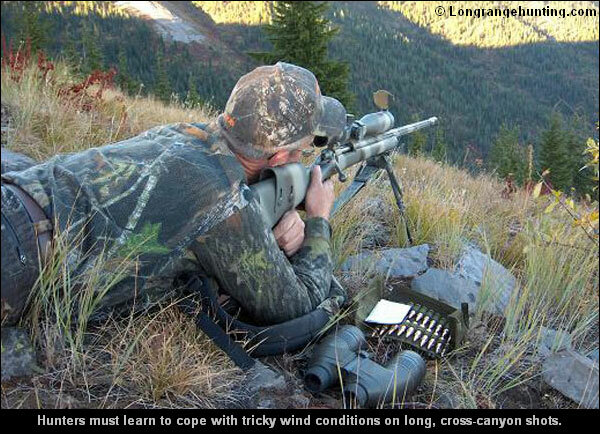 Share the post "Field Skills: Reading the Wind When Hunting"